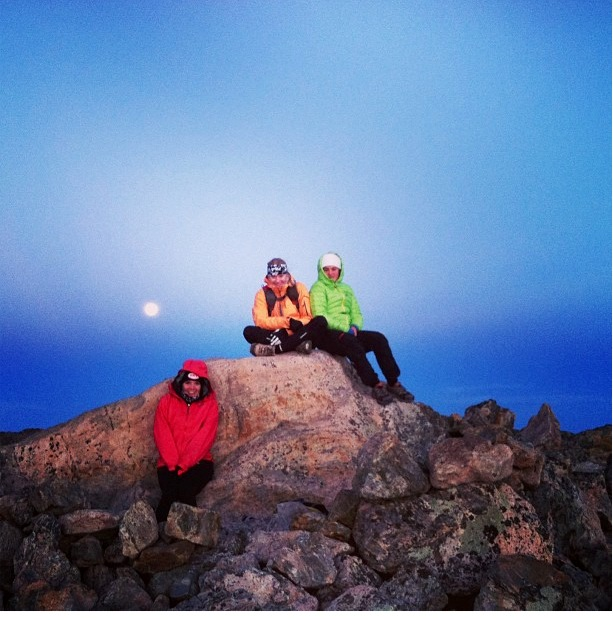 When my friend suggested a group of us girls do a moonlight mountain climb, before we all head back to our respective schools, I was excited! We set out for our hike around midnight at 60 degrees, the unseasonably warm weather creating a false sense of comfort. “How cold could it get?” I wondered to myself as I placed my warmup pants and extra layer jacket back into the truck. Hiking in t-shirts and shorts we were still warm as we passed by the campsite where climbers of Mount of the Holy Cross stay the night. We later found out that our laughter and story telling as we passed by awoke a few of the campers! 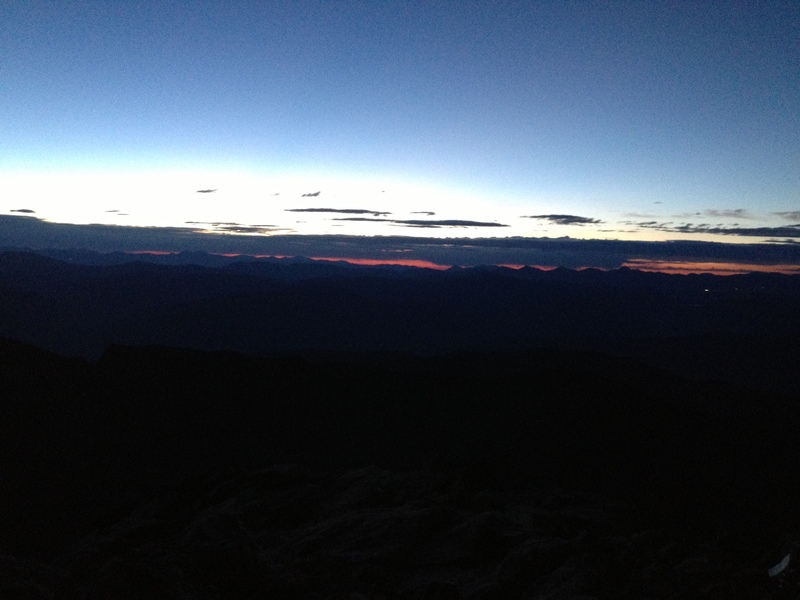 As we continued to climb we realized we would summit prior to sunrise. This proposed a bit of a problem since our goal was to watch the sunrise from the top of this awesome peak. So we hunkered down along the saddle back taking shelter behind a giant rock carin. As we drifted in and out of sleep, we got colder and colder. All five of us girls grew up ski racing in Colorado. We all have had our share of being cold. However, I think as we huddled together, bearing the wind as it traveled up the 12,000 foot saddle, I questioned if I had ever been this cold before! All I could think about was my warm-ups in the truck, and wonder why didn’t I pack a down jacket! I had thrown in fleece-lined RooEpic headband for each of us, so at least our ears were warm! When we saw the headlamps of oncoming hikers in the distance we decided it was time to get up and start moving again toward the summit. Amazingly it was warmer on top of Mount of the Holy Cross than on the saddle! The hike down was equally brutal, awake for 24 hours on our 20th mile, we were all unusually quiet. My answer of course was “Yes!” But more importantly the camaraderie with great friends, sharing our laughter and struggles, that was worth it. There is something about hiking whether it is the uninterrupted conversations, or the fresh air that solidifies great friendships. Thanks friends for the great end of summer memory! This entry was posted in RooEpic Adventures, Uncategorized and tagged climbing the 14ers, colorado 14ers, hiking gear, hiking in colorado, Holy Cross, midnight hikes, midnight mountain climbs, Mount of the Holy Cross, roo epic, rooepic. Bookmark the permalink.